When people first start the alkaline diet they almost almost make all (or almost all) of these mistakes. If you are making any of these mistakes can do almost all of the hard work you put in. It’s why so many people can find the alkaline diet hard at first, when in reality it should be fun and enjoyable and pretty darn easy. Let’s Turn These Common Mistakes into STRENGTHS! But when you take these common ‘mistakes’ and turn them into strengths (which I am about to show you how to do!) the alkaline diet becomes easy, enjoyable, easy to stick to and fun. Plus the results you get are double or triple what you would have gotten before, with less effort required! It has always been my mission to make the alkaline diet easy, enjoyable and fun (and therefore long-term and sustainable). And in my eleven years experience (ELEVEN YEARS! It’s gone so fast!) I have truly gotten to the core of why some people get alkaline and get results easily, while others struggle and give up. It’s not down to body type. It’s not down to blood type. It’s not down to your previous diet. It’s not down to how fit you are. It’s not down to whether you give up meat or not. And those first few days and weeks are SO important. So let’s get into those mistakes and I will show you specifically, step-by-step how to turn each around and make it a strength! In my eleven years of experience, working with people from all walks of life, with all different backgrounds and history and with all different goals – one thing is almost always certain. When people first start the alkaline diet, they start off striving for perfection. After reading the pH Miracle (or another book! ), going to a Tony Robbins event, reading an article online or in a newspaper somewhere, going alkaline makes a LOT of sense to most people. But when they start out, common sense seems to go out of the window and they try to do it all at once! This is probably true of most people when they start with most changes to their health or lifestyle with any diet plan or new gym regime. When you try to be perfect from day one, you set yourself up for failure! I’m here to tell you now – in all of my experience, there is nothing that will lead to failure faster than striving to be perfectly alkaline from day one. Plus it makes it no fun, unenjoyable and incredibly difficult to sustain. The good news is that starting slow, building up, taking it day-by-day and one step at a time is the FASTEST way to succeed. It truly is. My old driving instructor, Ron Ricker used to tell me “Sometimes the fastest way is to take your time” and in this instance I couldn’t agree more with Ron. When you try to be perfect all at once, there are lots of pressure points and potential points of failure. …and most of all – the hardest thing is this: trying to give up everything at the same time as introduce new foods and habits…all at the same time…is too much! When you’re in the process of giving stuff up, you have to battle the cravings, the habitual changes, the stress, the psychological battles, and then all at the same time as trying to think of alkaline meals to make. There is a lot to take in at the start so I recommend (highly), taking it slowly and focusing at first on GETTING THE GOOD IN, not on trying to cut the bad stuff out. Sounds much easier doesn’t it? I have a very detailed video on this coming up for you very soon (I’ll send it through once it’s ready!) but in the meantime, just keep this in mind…. Focus on the big, most important stuff. The core fundamentals that I discuss in my Beginners Guide (get this by signing up at the top of this page, or at the bottom of this article). If you focus on nailing these fundamentals (hydration, greens, oils, minerals, movement) then you’ll get 1000% bigger results than if you try to do it all at once. Don’t try to do it all at once and don’t strive to be perfect from the start!! Take it one day and one week at a time when it comes to eliminating and transitioning away from bad foods: this week dairy, next week coffee. And don’t move onto the next one until you’ve nailed the current one! Focus on the FUNDAMENTALS first, the 20% of things that will give you 80% of the overall benefit: hydration, greens, oils, minerals and moderate exercise. 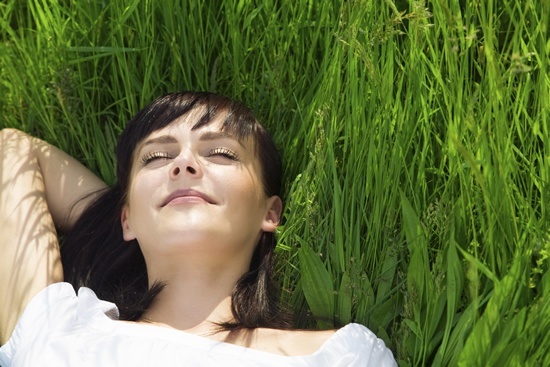 Just these five small changes, when compounded, will get you a huge benefit. Be prepared. Oh yes, the boy scout motto has never been truer! A lack of preparation will undo even the most experienced alkaliser! I have been studying and coaching the alkaline diet, as I mentioned, for a long time now. I’ve closely examined what makes people succeed, what makes them fail and success always leaves clues. I have seen, over and over, that in a vast number of cases where people are going great and then suddenly crash – a lack of preparation is the reason. Hunger kicks in and there is no healthy option. …you get home from work, tired, stressed and HUNGRY. The kids are hungry. It’s time for dinner. It’s dark and cold outside and there is no way you’re going out there, even if you had the time, to go shopping for groceries. What’s in the house will have to do it. BUT what’s in the house is not a pretty sight. So you just have to grab/cook whatever is easiest and quickest to make to feed all of these hungry bodies. And convenience foods, the stuff that’s left in the cupboard when everything else has been eaten is almost always acidic. And even if that isn’t the situation, when you’re not prepared but you DO have a bunch of raw ingredients in the fridge and pantry, if you’re not prepared and knowing what you’re going to cook it can be soooo hard to invent a meal that’s going to be not only alkaline, but delicious enough that the whole family will want to eat it. And if that isn’t the situation either, consider that time when you’re hungry for a snack but don’t have anything alkaline on hand to make it a healthy snack. But the hunger is gnawing away at you. What will you eat? And even if none of those are the situation(!) – imagine breakfast time when you’re in a hurry, late for work and don’t have something that is quick AND alkaline to grab? Can you imagine what you might have? Being prepared is simple. It’s about developing a bank of easy, delicious, alkaline recipes that become your staples. Meals that you can always fall back on. 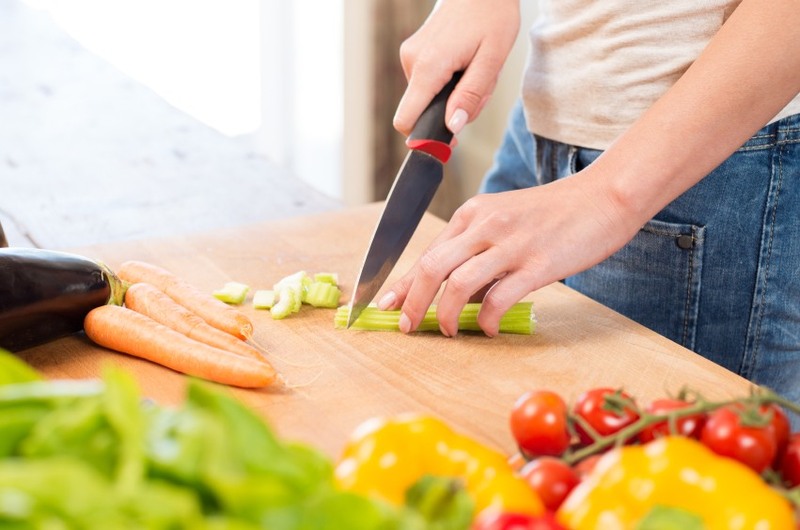 Being prepared is also about knowing what meals you’re going to eat in the next few days, forward planning and then, shock horror, shopping for those ingredients you need so you can make those meals! It’s all about having a little bit of preparation, foresight and planning so that it enables you to live alkaline easily, and deliciously! 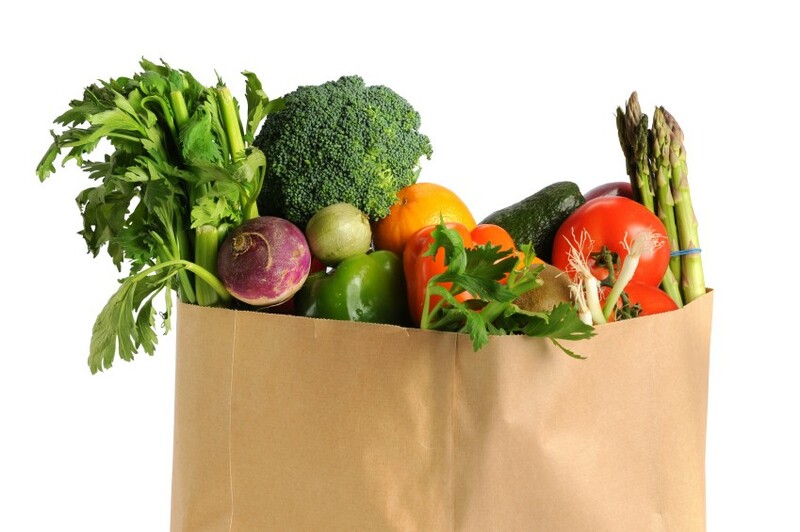 This is why the folks in my Alkaline Base Camp membership do so well and so easily – because each month they get a new set of menus, with their daily meals planned out and an itemized shopping list laid out for them – so they just need to shop, follow the meal plan and it’s all done for them. Having this resource for yourself is a HUGE win – and makes it all so much easier. I HIGHLY recommend planning out your meals each week, fortnight or month and going through this exercise yourself. It is often the difference between success and failure. 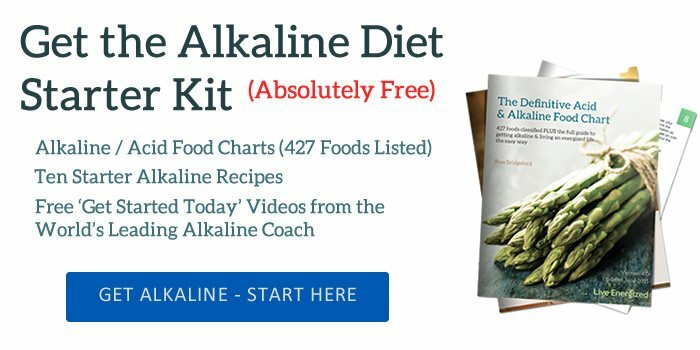 If you want to find out more about joining the Alkaline Base Camp so you can have this done for you – click here to check it out and get started. Grab your alkaline menus, print out your shopping list – buy the foods and follow your daily meal plan…and get alkalized and energized! A little bit of forethought will go a LONG way: plan your meals ahead at least 3 days in advance and shop for those foods! Always have a shortlist of ingredients – 8-10 ingredients you can always have in the house which mean you can make 5-6 simple alkaline meals and snacks at the drop of a hat. So few people realise the important of the digestive system. I think it’s the most important thing to focus on when you first start to go alkaline. When you have been eating an acidic, less than healthy diet for a while, your digestive system gets clogged up and impacted. It gets chock-a-block full of yeast, bacteria, mycotoxins and candida. Both of these situations are not good for you and your health goals. And worst of all, they will mean you’re only getting a fraction of the benefit from the hard work you’re putting in. Let me explain. When your digestive system is compromised and acidic, you will get into a cycle of bacteria, yeast, acidity, candida and more. The more there is, the more wastes these produce, the more they then feed on these wastes and grow and the more acidic and bacteria you get. SO many problems emerge from this. Candida, of course, reflux, and research STRONGLY links digestive issues such as IBS with the existence of bacteria and yeasts in the digestive system, for example. The more acidic you are, the worse this gets and it snowballs. If you believe you have a yeast/carb/sugar addiction – this is a symptom AND a reason. A clogged and impacted digestive system will mean you’re only absorbing a fraction of the nutrients you’re consuming! When your digestive system is full of undigested matter, yeasts etc. these wastes coat the walls of your large intestines, which is where your nutrient absorption is supposed to take place. Your large intestine walls are covered with tiny little finger like things called villi that have the job of absorbing all of the nutrients from the foods you consume. But of course, when you’re intestine walls are covered in old matter, candida and bacterial overgrowth, these villi are covered and impacted and cannot do their job! THIS IS EXCITING NEWS! It means that as soon as you start to clean out your digestive system your results will suddenly POP – even though you’re not doing anything different! More results, with no extra work required! While going alkaline will make this process of cleansing start to work, there are some simple things you can do to speed this up considerably – especially when you’re first starting out. There are certain foods you can include more of that will rapidly speed the cleansing of your digestive system. In another guide I’ll go more into each of these foods, how to use them and give some recipes, but for now, just shop for them and include them! Plus a special shout goes to grapefruit as a snack as it is mildly alkaline and helps support the digestive system with a high content of pectin fiber which is a great cleanser. Plus of course these foods are terrible for your digestive system – processed foods, fast foods, fatty foods (as in trans fats), low water content foods, sugar, yeast etc. 1) Psyllium Husks: which are a combination of insoluble and soluble fibre and are the very best cleansing fibre supplement I have ever come across. Cheap and easily found online and offline. 2) pH Miracle’s pHlush: powerful, so use gently and slowly at first. It’s an oxidiser in the alimentary canal and acts like an ‘at-home colonic’! It’s fantastic for clearing out the digestive system! Hydration, hydration, hydration. You simply cannot be dehydrated and have a properly functioning digestive tract. It just ain’t gonna happen. Aim to drink between 2-4 litres of clean, filtered and preferably alkaline water each day, without fail. Your whole body, not just your digestive system, will thank you for it. Incomplete chewing and talking while eating can cause premature swallowing. Our digestive systems are not designed to digest large pieces of food, so putting large pieces in our stomachs can lead to incomplete digestion (aka: digestive discomfort). The digestive process starts with chewing, which naturally churns the food. Chewing also releases digestive enzymes to further aid in the digestive process. The same goes for having massive mouthfuls. When you have a big mouthful, then chew – it expands and forces you to swallow prematurely, putting even more pressure on the digestive system. – don’t allow yourself to touch your fork until your current mouthful has been completely chewed and swallowed. So many people start racking up their next mouthful before they’re even chewing their current mouthful. Don’t do this. Savour each mouthful. Enjoy your meal. Having big meals less often is much more stressful on the digestive system than having smaller meals more often. Eating little and often will also prevent you getting into that position I mentioned earlier of being so hungry you just have to grab whatever you can (which is almost always acidic!). Don’t ignore the digestive system! Give it love (especially in the early days) and your results will be SO FAST! Focus on the high fibre foods to begin with green vegetables, beans, chickpeas, grapefruit, avocado, celery etc. This is a funny one, but true. When most people start the alkaline diet they eat so little! For some reason quantities go out of the window and they start eating these tiny little meals! The best thing you can do to repair and alkaline, cleanse your body and digestive system is to flood your body with nutrients, and you’ll only be able to do that by eating lots! I generally don’t like to talk about calories in/out – especially when it comes to weight loss, but in this instance I will reference it simply to say: these people are getting nowhere near enough protein, calories or fats! You really do need to keep on eating lots when you go alkaline. It’s no good to cut out all the crap and replace it with a plain salad. You still need to be getting a varied, mixed diet, with protein, complex carbs, oils, loads of veggies, high water content foods, nutrient dense foods etc. Important: you should NEVER be hungry on the alkaline diet. If you are often hungry, you’re doing it wrong and you should email me to trouble shoot with you to make this right. So make sure you’re getting enough food each day! Here is a sample day’s meal plan for you that will definitely keep you full and not hungry or missing any of your vital nutrients! And if you throw in snacks like almonds and other nuts and seeds, sprouted bread toasted with avocado & tomato, an alkaline salad wrap, hummous with veggie sticks etc you will NOT be going hungry. Being hungry is an acidic state – don’t let it happen! 4) Eating LOADS of alkaline, nutrient dense foods to allow your body to cleanse, repair and then thrive (getting the right quantities). These four common mistakes are now all pulling in the same direction to give you a compounded benefit. Doing these four things will give you a benefit greater than the sum of it’s parts. Using this in conjunction with the Beginner’s Guide (sign up below if you haven’t already) will leave you feeling AMAZING, but more importantly, they’ll make the alkaline diet exactly what it should be (and what I strive to make it): easy, enjoyable and sustainable. there are a couple of things on your highly acidic list, eggs and chicken…i am used to eating a lot of egg whites of boiled eggs for breakfast. is that not a good thing to do? also wanted to know about yoghurt, it is a big part of our staple food. how do i go about consuming these things? and how much is fine? Can one add bicarb/baking soda to water to correct this? I know adding organic lemon is good..
Hi, My son is on a special diet for reflux. His nutritionalist has recommended raisins as a snack. I understood they were alkaline, as many websites also state? Do you consider them acidic or alkaline? They are absolutely not in any way alkaline, they are a concentrated source of fructose, which will do more damage for his reflux than possibly anything else. I would consider finding a more nutritionally aware doctor. I am 79 years old. Before, eating for the most part in a conventional healthy way my digestion worked pretty well. Now that I switched to a mostly alcaline diet I am unable, for days at a time, to have any digestion. I feel very bloated and uncomfortable, despite drinking between 3-4 liters of water daily as well as taking quality Zeolite Clinoptilolite . Would appreciate any suggestion. If I cannot get relief soon I have to abandon this way of eating. Please advise if I can have all the food on the alkaline diet as I am histamine intolerant as somewhat restricted to low histamine foods. Really battling with flareups which are so debilitating. I am currently on a low carb high fat eating lifestyle. No processed food and healthy eating. I like to keep control of insulin and i have a problem with gout. I am d own 70lbs but need to drop another 70lbs. What will the Alk aline Diet offer me snd how will it address my sugar levels, gout condition snd weight loss ?? This alkaline thing does make a lot of sense and when I took the urine test it was extremely acidic. So, I’m going to investigate this alkaline a little. Now, my first question is : when you steam or cook veggies such as sweet potato, and cruciferous veggies does it turn them acidic once they are digested? I think I read somewhere that cooking alkaline foods turns them acidic. Cooking does not turn an alkaline food acidic per se. You have to think of it as a spectrum – the more you take a food out of it’s natural state the more nutrients disappear…eventually, and depending on the cooking method you *could* make an alkaline food acidic (i.e. deep frying in canola oil), but cooking, in most instances just removes the nutrients. Try to be as gentle with the food as possible i.e. steaming instead of roasting or frying. In India which type of alkaline food can be taken in breakfast, lunch and dinner? Please show a chart so that we could follow. Is kefir good to drink on alkaline diet? Can’t eat grapefruit…is there a just as effective sub? What’s your take on supergreens VS juicing? In your opinion, is it still anywhere near beneficial to replace juicing with just supergreens? Thanks for helping me to start on this journey… gosh, it’s been more than 7 years ago now! What a wonderful one. Grateful. I am a newly alkaline vegan. Any tips on trying to cure BV? How would you rate the Biocera Alkaline water filter jug using ceramics to structure the water differently. I was hoping this would be listed on your different methods to make water Ph more alkaline. I purchased it from company Water For Health and have found it very good. Many thanks for your research which i would have loved to have done but just seems to complicated. You’re more bloated because you’re dehydrated. The more you drink 2+ litres a day (up to 3.5-4 litres) you will become more hydrated and less bloated. Hi Ross! Can I use both Psyllium husks and pH Miracle’s pHlush or just one? Can I use it during the 7 days cleanse? I’m getting my tdap shot this friday. I want to do the cleanse on the same day. Do you think these 2 supplements and cleanse program will help to cleanse the toxin? Please advice, thanks! You’ll find the allergies will clear up the more in balance your body gets. The alkaline diet is especially effective for balancing as the alkaline foods are no only alkaline(!) but also anti-inflammatory, anti-oxidant rich and are very nourishing and balancing to the endocrine system responsible for balancing your hormones. When it comes to meat, I do recommend most folks cut down from what the mainstream consumes…but you don’t have to give it up. My advice is to take your same meat budget and spend that on the highest quality meat you can find – organic, grass fed, pasture raised, the most expensive cuts etc. This way you’re getting *less* meat, but more nutritious, ethical and healthy meat – and I’d imagine tastier too. Hope this helps – do feel free to follow up if you have any questions at all! I am grateful finding you on Facebook. Your expertise will make so much difference to help me understand and know ‘ how to prepare a healthier food for my love ones. No problem, glad you found me on Facebook! I’m just getting over breast cancer, both removed, but manged to avoid the chemo which is great but my immune system is crap! So I’m on a mission to restore it and take the super green foods in powder and eat non dried goji berries and it goes on…my question is how, if I have removed the sugar, dairy, and as much gluten as poss, and meat, apart from fish, as the first two things help cancer to party in my body along with the acidic environment! So trying to keep a balanced diet is hard having removed the meat and trying to keep to as much alkaline food as possible. I’m juicing as well but I’m hungry and get stuck with what to eat at lunch and then snack on hummus and breadsticks!! Pls can you advise……. I have 2 auto immune diseases & systemic candida which is extremely bad in my whole GI. I have cut out all sugars, including fruit. I am very acidic! I am on Nystatin. Should I be on a probiotic? Should I be on a cleanse? What foods can I eat? Are all your recipes ok at this pont for me? I need help! Please & thank you! battling disappearing cartilage in my thumbs (I’m 53). Feel a bit daunted by it all. Your thoughts? Hi ross. I m from india and I dont know how to alkeline my body..as many of good fruits n vegetabels r not available here in indian super market.. most of the veggies n fruits r pestsides grown n not organic.. instead of diet chart can I take a telephonic concelling.. ? Or any of good detox suppliment. Which I can get in india. Kindly enlighten me with ur world. I have a sevear digestion problem. Bloating n constipation n even piles.. and I m just thirty years old. :( kindly tell me wot can I do to detox my body n live a happy life… or tell me if I can call? Tc .regards. Hey Ross! AWESOME power packed post!! I noticed the phlust link wasn’t working (i tried to go there, to no avail). I’ve used this in the past, and MAN does it work good! lol… how do u know when you should stop using it? Also, LOVED your list of foods for the digestive system. I didn’t realize sweet potatos, and quinoa were such good items to have on that list— hurray! Hi Ross, is it possible to eat alkaline on a budget when eating for one ? I have both books but not yet got started…. I love your books and your passion for wellness through good food but we live in a nation of low income and hard workers (often two jobs to make ends meet). I personally have lost the basics on cooking, I think many of us have. And due to the lifestyle, I am unwell with many things and struggle to find the energy to plan and prepare. Could you produce a book on the basics ? 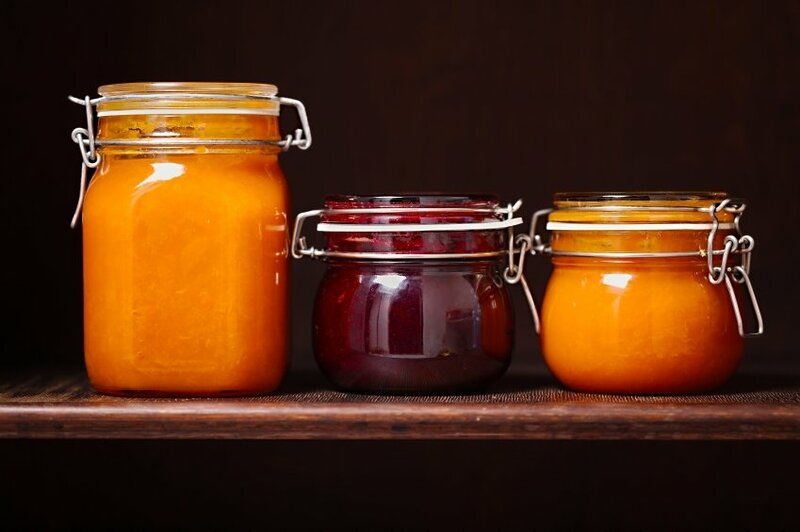 keeping things fresh/storage of foods etc as a lot of health foods have no basic instructions on them and as they are expensive to buy am fearful of buying. is it doable to eat well on around £30 a week ? I’m actually working on a Beginner’s Course right now which will include some of this info. 2. It’s too much to read! Could you please make it brief or do you have a video on this?? Funny – people usually say “I prefer written” when I post videos! On the upper right hand photo there are two persons which one is you? husks I need to take. Thanks..
spoon in my shakes or juices. I find the best time to take this, is just before you go to bed, and hour or so. You can have it in water as well. Thank you Ross, very useful information, and you are so generous with your information. I’ve been raw vegan for the last month which has been a good starting point to going alkaline. I’m now starting to use your cook book to maintain being alkaline. I have diabetes and my blood is normal most days now. Just want to get to a point where the condition is reversed and healed. Thanks for your support. Morning – 1 1/2 ltr water, 900ml juice of celery cucumber baby spinach then large salad (lettuce toms avocado or goats cheese sprouts olive oil salt herbs( fresh and or dried) 15 min rebound and 20 mins bike to sweat. Twice a week short free weights work out followed by cardio to get rid of acid. Lunch- salad as above with quinoa or butter beans or chick peas or new potato or brown rice. Water during the day. About 3 or 3 1/2 litres of clean water a day. And about 100gr of dark choc a fortnight and 3 times a month home made pancakes with jam and cream or scones. Will the fat lose not happen until I get rid of all acid. My health is much improved still abit low on energy sometimes. Just put on fat around middle and back about age 40. Do you think it may be hormone imbalance or adrenal fatigue. Hi Ross….This is the second message I have received from you as I am a novice and only been on it for 3 weeks…..I did the opposite of what I just read!!! Went straight in with the whole thing! BUT, aside from the frustrations with learning how to cook all over again and how to shop, Myself and my husband are LOVING it, we eat 3 great meals a day and are rarely hungry between meals…It’s so good! Wish I had done it for years and years! We haven’t yet found a restaurant yet though locally that does food that’s totally alkaline, or if it is, it’s foul!! Will keep searching!! Can we eat olives and goji berries?? Can’t seem to find out if that’s ok or not. Hope you both keep up the excellent work! Ross, you were preaching to me today!!! Thank you, I made all of the mistakes this past week, which was my first week! Thank you for this and I’m on my way again, one meal at a time! thanks so much Ross. I just finished reading on “the seven mistakes alkaline beginners do commit”. I must admit i faulted in almost all. God bless you for letting me know these facts. I promise to take in more alkaline liquids, eat in a more relax manner and most importantly, not push big morsels down my throat anymore. I look forward for more enlightenment. Thanks once again. Alkaline could be better with organic all over. hi ross ,one and half years on diet now ,all good but i still have porridge for breakfast with soya milk and flaxseed washed down with a litre of doc brocs powder, after a glass of phour salts .and a green juice of my 5 a day green vege with squeezed lemon ,ginger and udo oils .can i improve on this am i ok with the daily porridge? Ross, is organic Agava Nector acidic? Can it be used in smoothies? And how about Birch Sugar (Xylitol) can that be used as well? I read the PH Miracle a couple of years ago, but found it difficult to put it all into practice. I have found your site so informative and your receipes so easy to follow and I am going to try really hard to make this work this time. I have sarcoidosis an immune disease which is now in remission and I am hoping that the alkaline diet will stop it from coming back. Ross – I would like to know if you have heard of anyone reversing osteoporosis by following your alkaline diet? I can’t legally make that connection, but there are many books and publications making this connection. is nonfat, organic, plain yogurt alkaline, and is greek yogurt better for you? Goat products are generally better than cows and yep, organic is better than not. Thanks again for your kind words – keep on keeping on and good luck with the shopping list! Hi there! I was so excited to find your site a while back! I first read the pH Miracle book about 6 months ago and just couldn’t get my head wrapped around how to make that work with our family of 7. However, I started a slow process of eliminating some things and adding in more alkaline foods. Just over a month ago, our oldest daughter’s eyes flared again (she has Uveitis) and we were faced with putting her back on very severe drugs (a liquid chemotherapy) or… well, I pulled the book out again and we are now on the full program. We are praying and believing for great results! I love all the information you give, because I am putting it into play for the rest of my family and it is great! Thanks so much! Thanks Rachelle – good luck and good work for keeping your mind open and continuing to learn! I want to help changing the world too. You´ve always moved me deeply for your passion for life, your love for all suffering humankind (bad eating habits making them all sick, unhappy…) and your passion (again!) for a healthy lifestyle and the huge possibilities for happiness and freedom. You´re unique of your kind. Thank you for being here and for your compassion and GENEROSITY for us all. GOD bless you. Hey Lourdes – I truly appreciate your kind words! Thanks a lot for all your work and creation! About 3 years ago I foung Robert Young’s book and could stay on it for about 1 year on it – not 100%, just about 80% – and I never felt better, looked better and even had a mannequin-figure! But due of some life-situations, invalidations on my diet etc – I gradually end up on my earlier acidic-lifestyle and just couldn’t get back on it. But thanks to your positivie advices and constant creation – I made it back and I am so happy and grateful for that to you! Thank you so much Petra – I too tried to stick to the pH Miracle as it states but had a tough time trying to do it all to the letter…but when I dropped back to 80% I felt great! Thanks so much for commenting, I really appreciate it! I second the motion! Love your web site. Your information has changed my life and those in my immediate circle (family). It was difficult in the beginning to take in all the information that could change the way we were eating, but now we have learned that the most important point to remember is…..BE PREPARED!!! It’s so much easier to have everything you need on hand at all times, rather than wondering “what can I eat”!!! Keep up the good work Ross…one “converter” at a time and soon “Junk food” will be a thing of the past! Thanks so much Dove! Love your work! I love what you represent – authentic, committed, passionate, logical. Thank you Ross, you remind me of everything I KNOW in my heart and forget not too often, but forget!